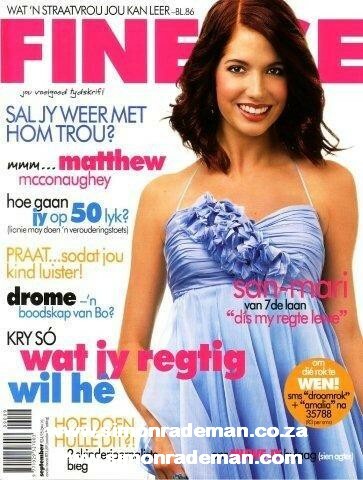 Finesse magazine is a popular Afrikaans magazine for women. It had a fantastic makeover with this cover. Here, actress Amalia Uys wears a specially designed Simon Rademan cocktail dress.